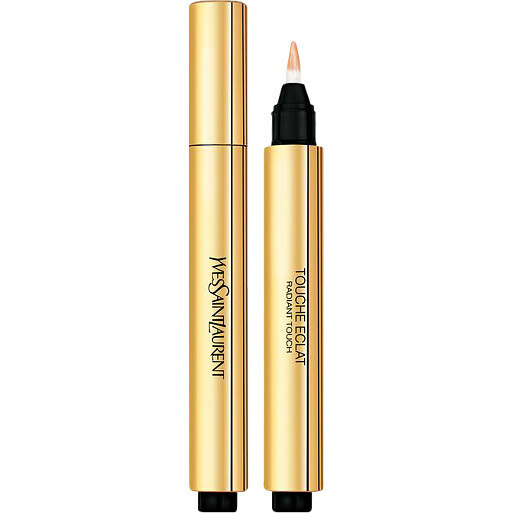 A worldwide icon for over 25 years, Yves Saint Laurent Touche Eclat Radiant Touch Illuminating Pen is an innovative highlighting and concealing pen that gives the complexion an instant lift. 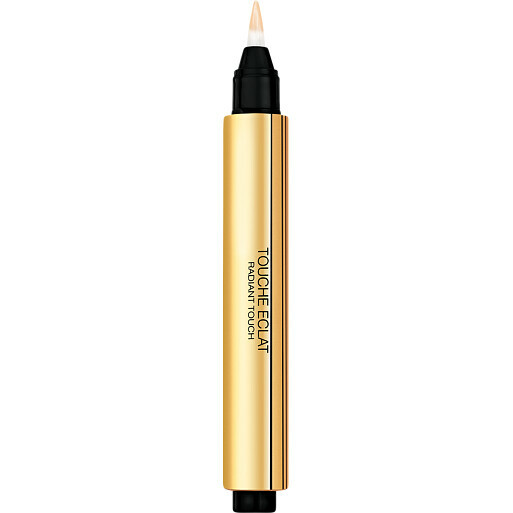 Perfect for use on the go, Touche Eclat is perfect for brightening skin in a flash. It can be used all over the face to lighten shadows and highlight your best features, with a famously natural, luminous and buildable finish that suits a variety of skin tones. When you want to feel polished, reach for this pen! Its blend of light-reflecting pigments will diffuse the look of fine lines and wrinkles, disguise tired eyes and help to sculpt your complexion for a fresh result at any time of day. This beauty icon almost needs no introduction. An emblematic click-and-go pen that has been brightening skin since 1992, Touche Eclat kick-started a highlighting revolution that is now a staple in makeup routines the world over. There’s nothing quite like the subtle lift that it gives to skin; you need to try it to believe it. Click the pen to dispense the liquid (you may find that you need to click up to 20 times before the first use), then brush it directly onto the skin. It’s truly multi-purpose: blend a little underneath your eyes to fake 8 hours’ worth of sleep; blend along the brow bone to give brows a lift; use it on cheekbones and the bridge of the nose as a highlight; use it as a primer for eyeshadow; or use it on the bow of your lips to enhance their shape. The possibilities are endless! AQUA (WATER), CYCLOMETHICONE, GLYCERIN, TALC, PARAFFINUM LIQUIDUM (MINERAL OIL), PEG/ PPG-18/18 DIMETHICONE, MAGNESIUM SULFATE, TRIDECETH-3, METHICONE, METHYLPARABEN, SQUALANE, [+/- MAY CONTAIN : CI 77891 (TITANIUM DIOXIDE), CI 77019 (MICA), CI 77492 (IRON OXIDE), CI 77491 (IRON OXIDE), CI 77499 (IRON OXIDE), CI 77007 (ULTRAMARINES), CI 77510 (FERRIC FERROCYANIDE), CI 77742 (MANGANESE VIOLET), CI 75470 (CARMINE), “NF8897”.